The Patient Education Materials Assessment Tool (PEMAT) and User's Guide: PEMAT, developed by AHRQ, is a systematic method to evaluate and compare the understandability and actionability of patient education materials. It is designed as a guide to help determine whether patients will be able to understand and act on information. Separate tools are available for use with print and audiovisual materials. Toolkit for Making Written Material Clear and Effective: This toolkit is a health literacy resource from the Centers for Medicare and Medicaid Services (CMS). Toolkit for Making Written Material Clear and Effective: This 11-part toolkit from the Centers for Medicare & Medicaid Services provides a detailed and comprehensive set of tools to help you make written material in printed formats easier for people to understand and use. Simply Put: A guide for creating easy-to-understand materials from the Center for Disease Control and Prevention (CDC). Clear Communication Index: The CDC Clear Communication Index (Index) is a new research-based tool to plan and assess public communication materials. The 4 questions and 20 items in the Index are drawn from the scientific literature in communication and related disciplines. The items represent the most important characteristics to enhance clarity and aid people's understanding of information. Medline Plus: This comprehensive source provides information on how to write easy-to-read health materials with step-by-step instructions. 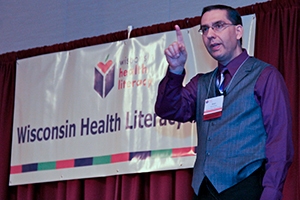 Health Literacy Innovations: Health Literacy Innovations produced Health Literacy Advisor, a powerful software tool to help you assess and improve the readablity of your documents using plain language principles. UnitedHealth Group Just Plain Clear Glossary: Find thousands of health care terms defined in plain, clear language to help you make informed decisions. Flesch-Kincaid Reading Ease and Grade Level Calculator: Today's word-processing programs have made it almost as easy to assess the readability of a document as it is to check its spelling. Microsoft Word's word-processing software, for instance, can perform several readability calculations in the blink of an eye...Be aware that, although helpful, some of Word's readability scores are not completely trustworthy. This article explains what the scores mean and how to work around the flaws. SMOG (Simple Measure of Gobbledygook) Reading Grade Calculator: For a reading grade level measurement tool, copy and paste text or entire document (up to 2000 words) and this program will calculate reading level. A SMOG Calculator from WordsCount is available on this site. 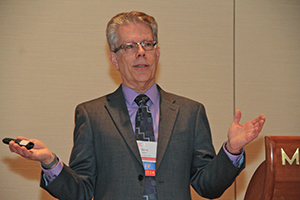 Is Our Pharmacy Meeting Patients' Needs? Pharmacy Health Literacy Assessment Tool User's Guide: This pharmacy health literacy tool was relased by AHRQ 10/07. It is a step-by-step guide for how to capture perspectives of objective auditors, pharmacy staff, and patients. It is designed to form a complete assessment with recommendations for evaluating the results and developing an action plan. Strategies to Improve Communication Between Pharmacy Staff and Patients: Training Program for Pharmacy Staff: A training program released by AHRQ 10/07 for pharmacists about low health literacy and implications of this problem for the delivery of health care services. 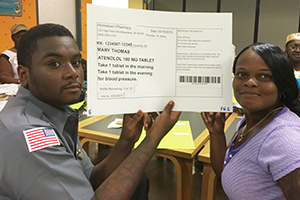 The program also explains techniques that pharmacy staff members can use to improve communication with patients who may have limited health literacy skills.